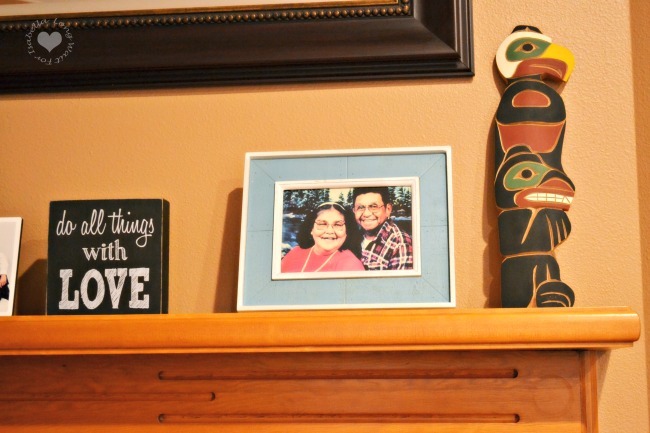 My grandparents are on my mantle. My parents had me when they were too young and somewhat irresponsible. Maybe that’s often the case. Thankfully, growing up on a Native American reservation meant that my grandparents were only 4 houses down. I spent much of my early childhood at their house. Getting spoiled. (I have a mouth full of silver fillings to prove it.) I loved my grandparents. They were like second parents to me. So, when my grandmother was diagnosed with advanced cancer, my whole world was rocked. I was 17 and really wanted a lifetime with her. This amazing, strong, proud, educated, sober, stern, loving woman soon succumbed, somewhat slowly, to this horrible disease. It’s over 20 years later and I miss her like it was yesterday. 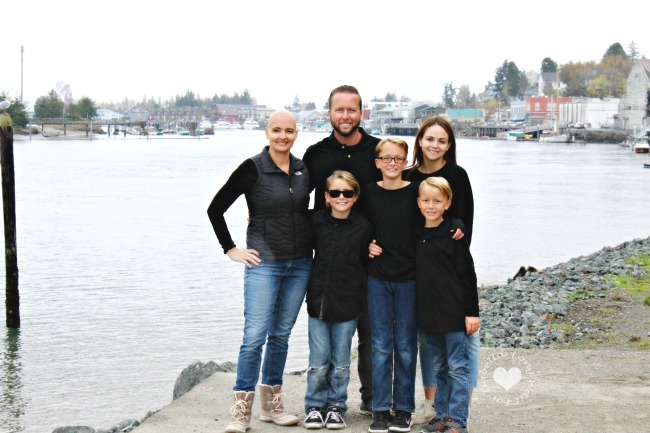 Everyone knows that a cancer diagnosis affects the entire family. 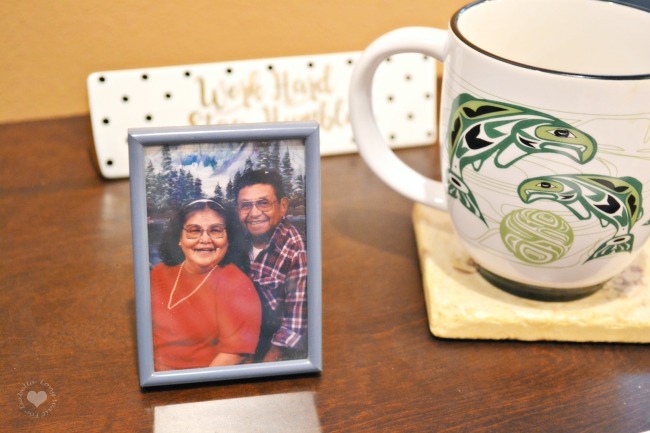 In our case, here on the reservation with a large extended family, we could be together quite frequently, while watching my grandmother fight cancer. It can be hard though, too. Those of you who have dealt with a cancer diagnosis in a family member know this. When you personally witness the disease taking over your loved one’s body, it can be emotionally, spiritually and physically painful on the family members too. Maintaining and fostering the relationship must be intentional and is quite necessary. Fast forward 22 years, and I again have a close family member fighting cancer. 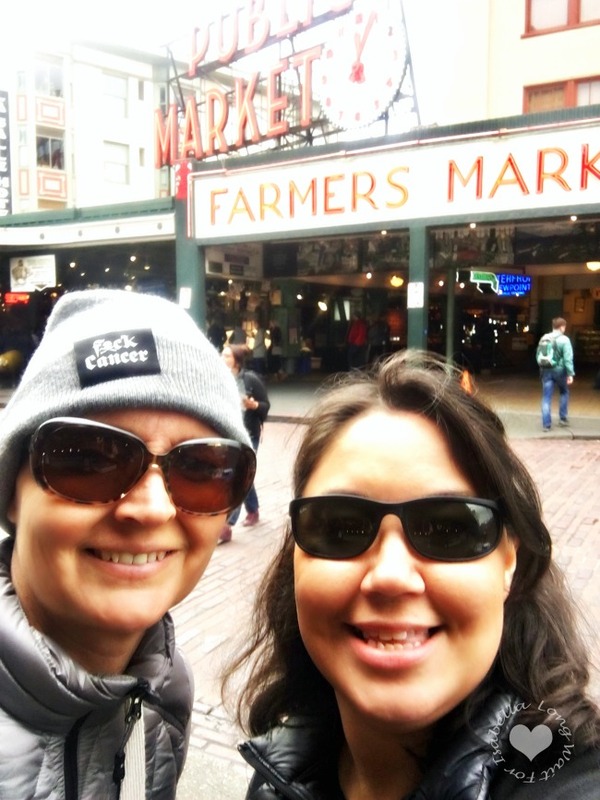 My sister-in-law, Melanie, has stage 3 brain cancer. This last year, she moved from stage 2 to stage 3, and that news was hard. Very hard. My husband and she are very close. They speak to each other every day. Since she lives 2 states away, we don’t get to see her as often as we’d like. That’s hard for him. Even the effects of her cancer on him affect me. Does that make sense? The foreboding, the anger, the pain, the anxiety of losing someone close to you—well, I can relate to that. I went through it once before. There are, of course, times that I don’t know what to say. And I’ve realized that it’s okay. Listening and understanding goes a long way, doesn’t it? Communication, especially now, is the key. Now that I am older, I do have a stronger feeling than I did when I was 17 after I witnessed my sister-in-law’s fight with cancer: pride. She hasn’t let this diagnosis beat her down. In fact, she has thrived. 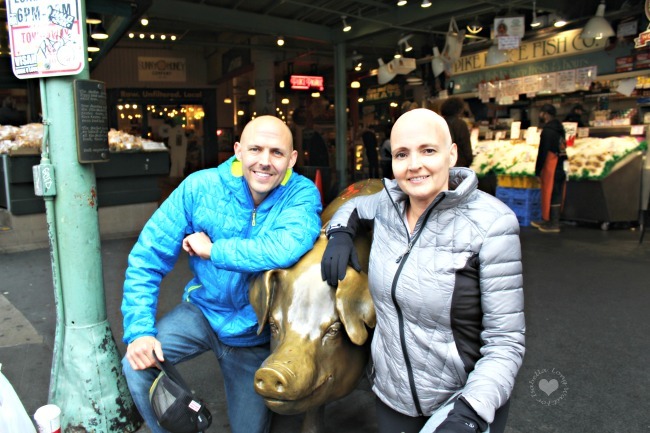 Her life with cancer has inspired her to get involved with the cancer community, representing the American Cancer Society and Relay for Life, and working with Stupid Cancer, CancerCon, North County Cancer Fitness, San Diego Brain Tumor Foundation, mAss Kickers and many more—she’s done so much now for cancer patients and families. She’s fighting, and I couldn’t be more proud. Now that we are dealing with cancer in our family, I’ve been looking at websites and learning more about cancer. I’ve appreciated what I’ve learned on the This is Living with Cancer™ website by Pfizer. Part of life with cancer is not only listening, staying connected and supporting, but it’s also learning. Learning about cancer. Sharing cancer stories. 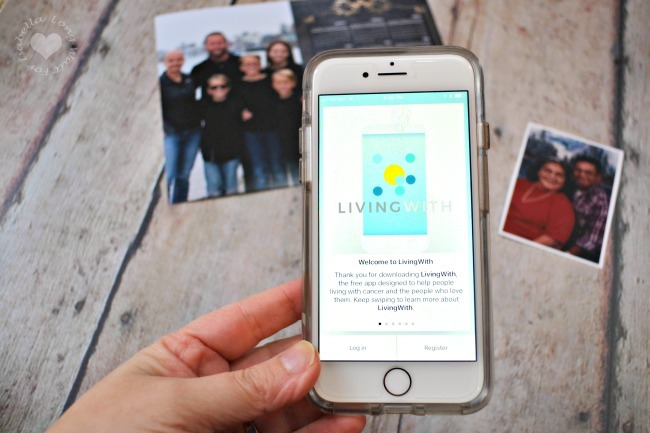 This is Living with Cancer offers inspiration, news, resources and an app. (There’s an app for everything, right?) Best of all? These are all FREE resources. Right now, you’ll find real stories and helpful articles on the website, including personal stories, health tips, quotes, videos and so much more. If you’re living with cancer (as a patient or family member), you MUST check out this website. The resources page also has a long list of websites to provide information for people with cancer. This is quite an extensive list. This page is worth a bookmark. The LivingWith™ app is worth the download in my opinion. The LivingWith app is designed to help patients and caregivers manage life with cancer and organize certain important information in one place. Back in 1996, my grandmother didn’t have this great technology to make living with cancer easier. I am thankful that I can now share this app with my sister-in-law. For more information and to download the LivingWith mobile app, please visit www.ThisIsLivingWithCancer.com. Patients and their loved ones also can find the initiative on Facebook and Instagram.